I’ve not given up hope yet that Tesco will eventually give us extra Clubcard points offers, but until then we might just have to focus on saving money on groceries. 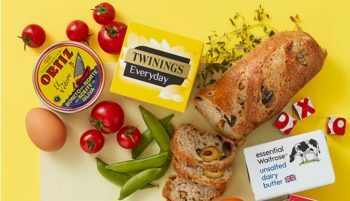 Marketplace platform LivingSocial is currently offering £80 worth of Ocado groceries plus one year free delivery for £55. LivingSocial, if you haven’t heard of it before, is similar to Groupon and used to be a Clubcard partner but the partnership ended in 2016. You can buy anything from beauty treatments to days out or restaurant vouchers. If you’ve never ordered from Ocado before, you can save 71% with the current offer. For £55 you will get an £80 Ocado voucher plus an Anytime Smart Pass which gives you free delivery for one year. You can buy the voucher for this offer on LivingSocial here. After purchasing the voucher you will be sent a unique code which you must enter when placing your first order on Ocado. The voucher must be used by 7th September 2018 and the deal is only live until midight on Saturday. Presumably there is quite a high minimum delivery? Can you send me the link? I couldn’t find the offer on the Ocado website. do living social pay uk taxes? just a post-post thought? Do Ocado?